There is really something magical and mysterious about a loft bedroom. Disguised somewhere above the floor in the higher places, the loft bedroom definitely makes for a luxurious sleeping space. Creating a loft can be both challenging and space-saving. It is a great solution for one room apartments as it keeps the bedroom private and divides it from the rest of the house. A loft bedroom can be built in a small studio apartment as well as in a spacious industrial building. It works especially well with higher ceilings as the low ones may divide an already small room into crammed sections. 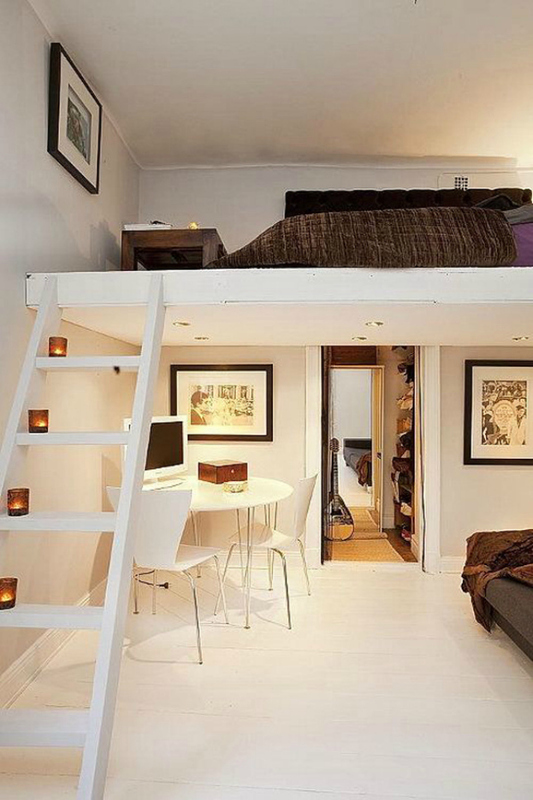 Look at the ideas to hide, organize and decorate your loft bedroom below!